Growing up on my family’s ranch in south-central Montana, I have experienced the issues drought can cause to our ranch and the many other ranches nearby. I’m no liberal. But not having not having enough pasture for the amount of cattle we run, not being able to put up any hay to feed in the winter, or simply having to haul water to pasture that isn’t able to produce enough because of drought makes me wonder what can be done to try to make a difference. Drought is one of the problems that is worsened by the effects of climate change. So maybe if we take a look at what can be done about climate change, it will help the agriculture issues that many ranches deal with. The impact of climate change can be lowered with just a little bit of help from everyday citizens. It’s truly the little things that you can do to help. It would be nice for government officials to hear it as well, but it isn’t the highest political priority for them, so chances of them caring about climate change is rather low. This is kind of frustrating since without the government support, many won’t believe we should worry about it. Making those who are unaware of this issue just a little bit more aware of what they can do will start to make a difference. Davis, Landler, and Davenport stated President Obama’s side while Ebell states president Trump’s side. Obama says “what makes climate change difficult is that it is not an instantaneous catastrophic event, it’s a slow-moving issue that, on a day-to-day basis, people don’t experience and don’t see.” I would agree with Obama because he knows it is a problem and without doing anything about it now, there will be consequences to come. It sounds like Trump doesn’t care about it at all and just because he believes it’s a hoax, but others may think differently. Trump has decided, “The Unites States will switch course on climate change and pull out of a global pact to cut emissions.” We went from Obama who was working towards this climate agreement and now Trump who took us out of it. It might become difficult to do things about this when the president thinks it’s a waste of time and money, but with enough support and evidence we could find a way to do something about it without his approval. Greenhouse gas emissions have shown temperature increases in the past decades. The cause behind these greenhouse gas emissions is the burning of fossil fuels. The amount of carbon dioxide is too much for our atmosphere to handle on it’s own. Lowering the amount of pollution in the air will help make a slight change in years to come. This issue could easily be lowered by setting regulations and enforcing the public to follow these regulations. Justin Gillis writes an article for The New York Times, and in this article he states “Earth reached its highest temperature on record in 2016, trouncing a record set only a year earlier, which beat one set in 2014. It is the first time in the modern era of global warming data that temperatures have blown past the previous record three years in a row.” Data has been consistent for these past years, showing an increase and now we will just have to wait to see if the record is reached once again this year. Starting to think about what you can do now to help will be better than sitting back and doing nothing. It is not a change that you are going to notice from day to day, but more so year to year. Some things you can do are reduce driving amounts if possible, better fuel mileage vehicles, these are just minor things that will reduce pollution and lead to changes. Climate Change by Megan is licensed under a Creative Commons Attribution-ShareAlike 4.0 International License. After reading your informative post about climate change, we concluded that we agree with your statement that it would impact the world positively if people had more knowledge about climate change. Like you said in your post, “It’s a slow-moving issue that, on a day-to-day basis, people don’t experience and don’t see.” Since humans are one of the main causes of climate change, we agree that, “Making those who are unaware of this issue just a little bit more aware of what they can do will start to make a difference.” If we do this humans may be more aware of their actions and we may be able to solve some of the issues involving climate change. For example, “ 84% of earth, space, atmospheric, oceanic and hydrologic scientist surveys said that human induced global warming.” This shows us that humans should be more aware of global warming since we are such a big part of it. Also, “Acidity levels in the oceans are 25-30% higher to human fossil use.” Our use of fossil fuels are causing ocean levels to rise more than they have in the last few years. This could impact life negatively around these areas. Another example of how humans are the main cause of climate change are,human produced gases that create the greenhouse effect. “ Since 1751 about 337 billion metric tons of C02 have been released into the atmosphere from humans burning fossil fuels.” If enough C02 is released, it will heat up the earth drastically, causing negative effects on everyday life. You could argue that human activity is not responsible for climate change so we don’t have to worry about it. But that claim is weak because, “ A survey by German Scientists Bray and Von Storch found that 83.5% of climate scientists believe human activity is causing “most of recent” global climate change.” If we start to talk to others about climate change, then more people will be aware about their actions. If we do this people will realize how their actions affect climate change. People may start to use less fossil fuels by driving their cars less and walking and biking more, or other things to limit their usage of fossil fuels. 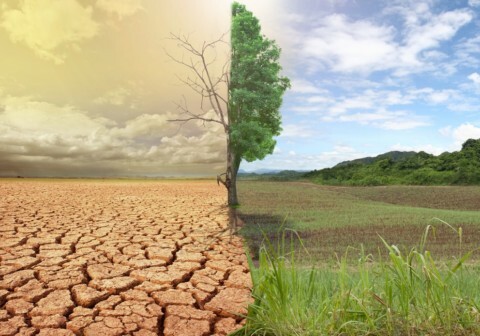 After looking at the facts of climate change and your well developed post, we can conclude that humans need to be more aware about climate change. If humans knew more about climate change then it would impact the world more positively. Megan. “Climate Change.” Youth Voices, Creative Commons Attribution, 20 Dec. 2017, http://www.youthvoices.live/2017/05/11/climate-change-4/. Multiple Authors . “Climate Change ProCon.org.” Is Human Activity a Substantial Cause of Global Climate Change?, ProCon.org, climatechange.procon.org/. I am surprised by your post, “Climate Change,” because it opened my eyes to the effects of human action. I also appreciated the fact that you not only stated what is causing climate change, but what we can do to reduce it. One sentence you wrote that stands out for me is, “Growing up on my family’s ranch in south-central Montana, I have experienced the issues drought can cause to our ranch and the many other ranches nearby.” I think this is an awesome sentence because it gives real-world example as to how climate change affects a real person, like yourself. It also says how climate change has affected the lives of many, such as yourself. Another sentence that I enjoyed reading was, “It might become difficult to do things about this when the president thinks it’s a waste of time and money, but with enough support and evidence we could find a way to do something about it without his approval.” This stood out to me because you encouraged to audience to still work to reduce pollution, even if the President doesn’t believe it. This sentence supported the cause and made the points stand out more, from the encouragement. Thanks for your writing. I look forward to seeing what you write next because I enjoyed reading about your point of view on such a controversial topic. It really made me stop and think about how I could reduce emissions, little by little.